The Center City West section of Philadelphia earned top honors in a recent list of America's most bikeable downtowns, according to a report. Redfin, a real estate company, released the report on Tuesday that ranked the best biking commutes for residents. 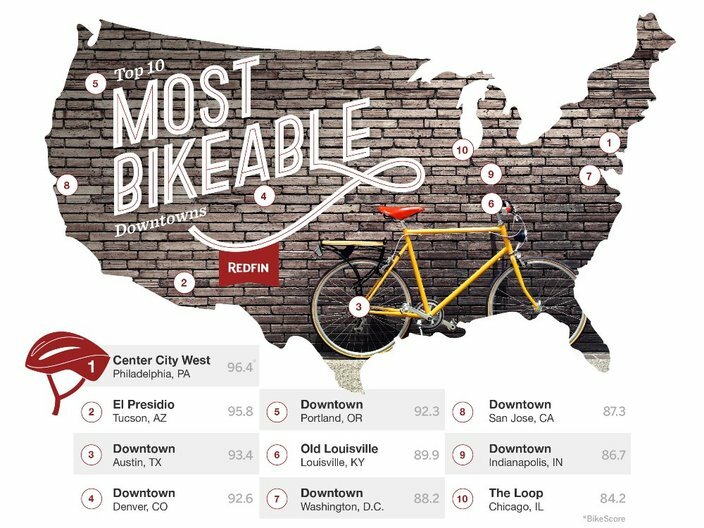 Top 10 Most Bikeable Downtowns. 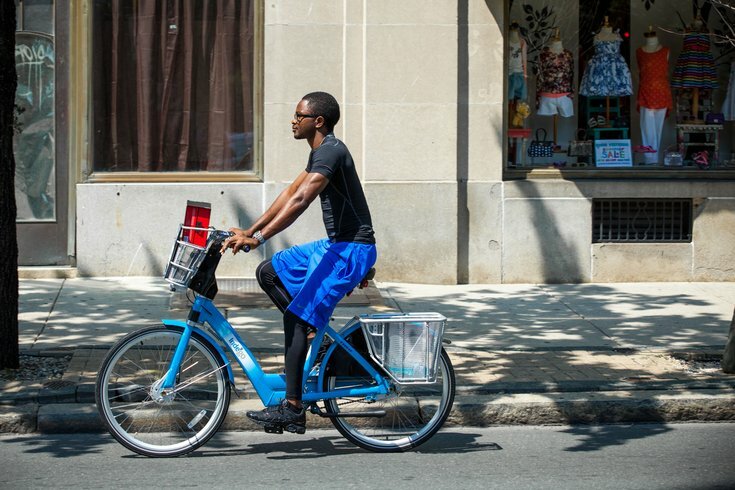 Center City West received a Bike Score rating of 96.4. The rating is on a scale of 0-100 and calculated by measuring bike lanes and trails, hills, road connectivity and the number of bike commuters. The area was boosted by its more than 440 miles of bike lanes and the city's recent expansion of the Indego bike sharing program. Philadelphia was recently named the fourth most walkable city in the nation by Redfin.